Our Aventura personal injury lawyers have represented hundreds of people that have been injured in both Aventura, Florida and throughout the state by no fault of their own. Our lawyers are available by appointment to meet with you at our Aventura office, your home, the hospital or at a location that is most convenient for you. In 95% of the Aventura, Florida accident cases that we handle our accident attorneys can tell you within a matter of minutes whether you have case. The best way to know if you have a case is to call us for a free phone consultation. Whether you are an Aventura resident or were injured in Aventura, our attorneys are available to discuss your recent accident. The city of Aventura, Florida is cradled between Fort Lauderdale to the north and Miami to the south, giving it a prime location for businesses and families to thrive. 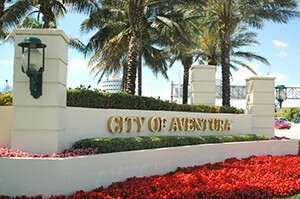 Named for the Spanish word for adventure, Aventura is a fast growing community, bolstered by the popularity of the behemoth Aventura Mall. Due to the high volume of visitors to the mall, traffic slowdowns and collisions are a common occurrence on Interstate 95’s Ives Dairy exit as well as on US-1. On an average day in Miami Dade-County, there are from 171,000 to 251,000 cars on the road each day which amounts to many tragic accidents and fatalities. Due to the temperate climate, a large population of retirees makes their home in Aventura. Serving a population of over 25,000, there are many nearby hospitals including Aventura Hospital and Medical Center and Memorial Regional Hospital.